I adore fresh flowers in the hair.. So when I walked by the farmers market the other morning, I knew I had to grab a few when I saw these beauties. You never need a reason to put flowers in your hair. 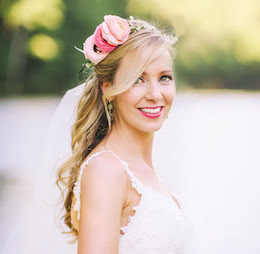 Try to incorporate wearing some, whether nonchalantly tucked into a bun, or like this magical look.. All through out! 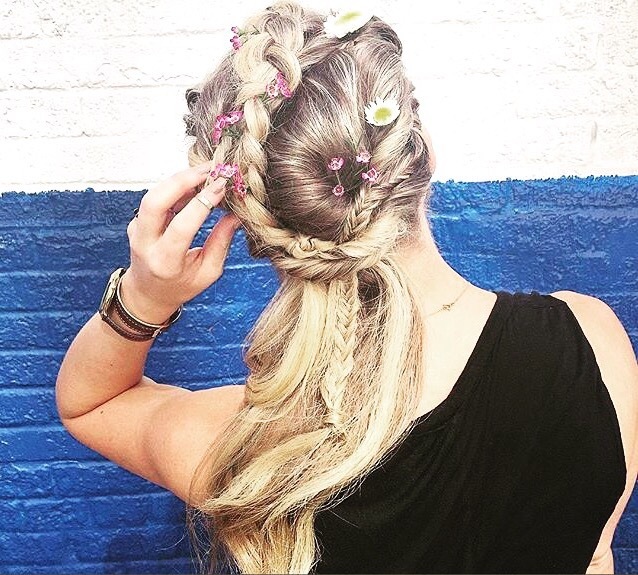 This entry was posted in Hair, Pics & Vids Main, Transformations and tagged bohemian braids, boho hair, braided hair, fishtail, flower child, kerastase on September 1, 2015 by ellekinney.